Last week was a slow one for earnings calls, but Warren Buffett did do an interview with CNBC that featured classic Buffett wisdom. This week we also included excerpts from Dan Loeb’s Third Point Reinsurance conference call. Loeb was relatively positive on the economy, but not very excited about opportunities for activist investing. Warren Buffett said despite the occasional soft spot, the economy has continued to improve. Dan Loeb sees a lot of people on alert, but not recession. Companies generally had positive things to say about the economy. Dollar Tree is positive with how its current quarter is trending. Construction is as robust as its ever been in New York, Florida, and California. Medtronic didn’t see the broader economic situation impacting its performance. Del Frisco’s restaurants said that its high-end patrons are not tightening their belts. Sun Hydraulics said that its distributors have reduced inventories as much as possible. At some point, you would expect to see companies spend more on expansion. But then again, if Donald Trump gets elected . . .
Government policies are already leading to super-charged real estate markets in China. Baidu is a carbon copy of Google, including the moon shot projects. Volatility in public credit markets usually precedes defaults in private credit markets. We’re in an interest rate environment that the world has never seen. Interest rates have a huge gravitational pull on valuations. Negative rates absolutely impact people’s behavior. Dan Loeb doesn’t see as many activist opportunities because companies have focused on rationalizing their capital structure. He’s more focused on under-valued opportunities. There are 29 million small businesses in the United States and one million use QuickBooks Online. Poor results from traditional retailers continue to create openings for off-price retailers. The natural foods channel has fallen into a bit of a lull. Television now only reaches 85% of US adults. The price environment for online retailers is extremely competitive. Workday says that legacy incumbents are suffering for not fully adopting the cloud. The dry bulk shipping industry is facing perhaps its most difficult year ever. Hopefully earnings are as low as they can go, but we’re not near the end of the dry bulk recession yet. 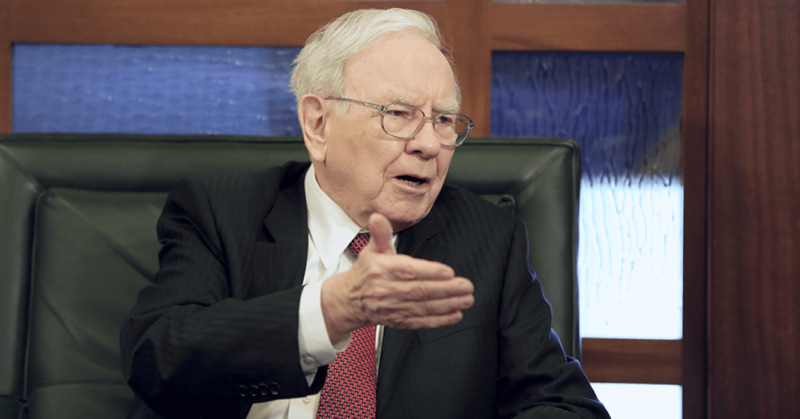 Warren Buffett explained why lower oil prices have not immediately boosted the economy. Lower gas prices are definitely good for auto parts retailers though. EOG says that it still has opportunities to improve productivity that could drive returns back to triple digits, though this is probably not a positive data point for oil prices. No one wants to be fooled by a false bottom again like last year. Dan Loeb sees more opportunities in debt than equity in energy markets. Incentivize employees to think like owners. There are no hyper-rich economists. You’d be better off in stocks if you didn’t get a quote on them. It’s a good thing when robots displace people’s jobs.